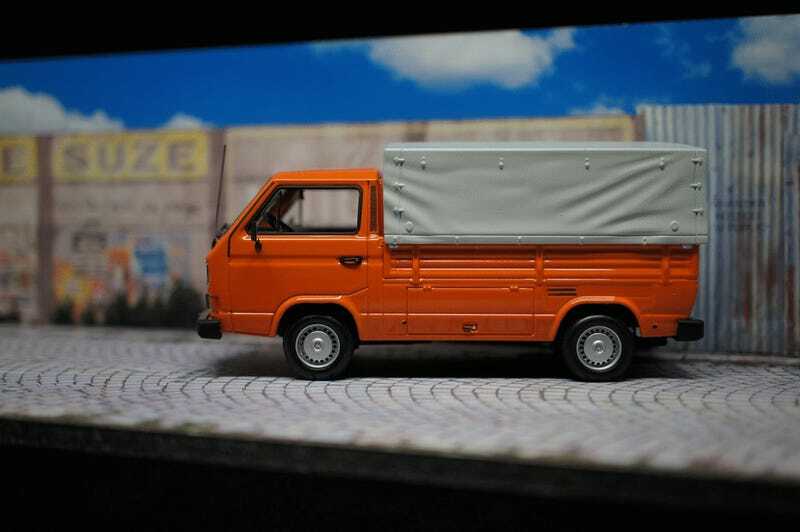 Truckin' Teutonic Tuesday: Der dritten Transporter! Today’s Teutonic subject is a bit weird to me. Almost everybody needing to transport anything, bricks, tools, criminals or bread, used these. The VW Transporter. The Volkswagen Type 2 (T3). Also known as the T25. Or Vanagon. “The one” from my youth. And it’s actually getting some recognition nowadays. I just never “got it” back then. It was a bit, well, outdated. The air-cooled engines were replaced by water cooled units in 1983, still no powerhouses though, still sounding Beetle-esque. Not that it’s competition was producing fast light commercial vehicles or something but still. Biggest question for me was always: Who on earth would buy these while getting your stuff in was quite hard with a cargo area this high. There was an engine in the back and the entire cargo space was on top of that. To hell with your center of gravity! And can you imagine clearing out a pallet of 25kg cement bags and getting them in the cargo bed? Then again: getting them out is probably far less complicated from that height. In southern Germany, Austria and Switzerland these were even better sold, if that is remotely possible. It was available with Syncro (4WD) and with the engine positioned like that traction in the hills was pretty good anyway. Last time I actually drove one was in the early 90's when I had to drive an ex-Police T3 to a rendez-vous point where a Polish fire department was picking it up, together with some other ex-governmental cars, for use in the east. So most of ‘m probably were exported at some point, it was a time Eastern Europeans bought a lot second-hand over here. And as a result you rarely see ‘m anymore over here. The model itself is a 1/43 by Minichamps. And it was actually my first Minichamps giving me a hard time getting it of it’s base. I even had to use my LEGO Duplo removal kit to get it of! But it comes with a removable tent. It rolls. Decent details. Great wheels. Only thing that bothers me (or rather: Could bother me, it’s not that bad) is it’s paint. That’s a bit too “thick” so the seams are a bit too “filled”. That Leuchtorange is a great color though, I think/feel the majority of the pickups in Germany/Austria came in this color. It brings a lot of great memories back for me. So I’m glad MBX came up with one as well, although I still have to find me one of those.